With the myriad innovative smart home technology devices on the market today, how do you know which is best…and which is the best for you? Smart locks and security devices are wonderful to have, but they’re much more valuable if they’re integrated into your home’s control system. Lighting control, motorized window shades and automated garage control are not only convenient, but also a great way to mimic that someone is home while you’re away…particularly if you can access them remotely. So, of all the must-have technologies out there, how do you determine the right solution for you – for now, for tomorrow and beyond? Your devices and systems need to talk to one another, and we speak their language. As a CEDIA Professional and Technologist, we have an extensive depth and breadth of knowledge in home technologies and stay current on emerging trends. We know what’s available and, based on your needs and desires, can design a system that will work seamlessly together and be easily controlled. We’ll make sure you’ve got the infrastructure to support it (all those connected devices will be competing for bandwidth!) and that we’ve taken future demands into consideration. 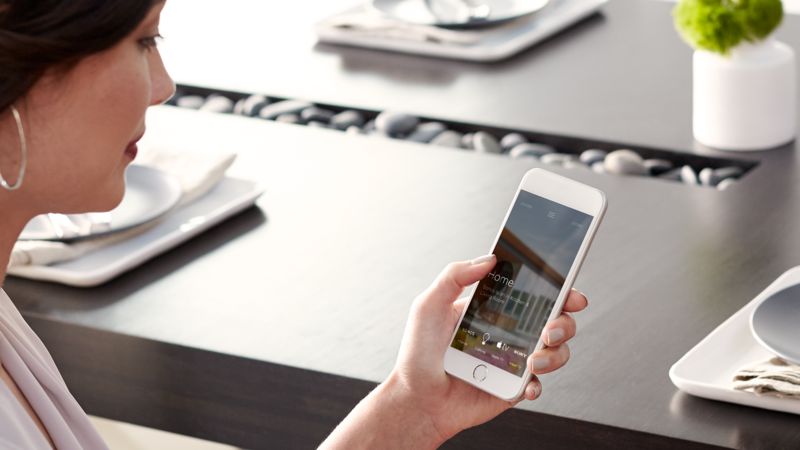 What makes a smart home so smart? It’s a system that works together. It’s an orchestration of elegant, convenient features that control music and lighting throughout your home, secure your entryways, control your climate, access your water features and pool pump, watch over your wine collection, close your shades and light up the fireplace. It’s a scalable system that anticipates growth and an increasing number of devices on your internet of things. It’s a maintenance plan that offers peace of mind. It’s an everyday luxury that puts safety, comfort and entertainment at your fingertips. Leave the worry and wondering up to us. Give us a call and let’s work together to discover the right solution for you.